Steven Spielberg’s Abraham Lincoln biopic has found its president. Daniel Day Lewis steps in for Liam Neeson who dropped out a few months ago. According to a statement released by DreamWorks Spielberg’s film is based on Pulitzer-winning historian Doris Kearns Goodwins best-selling book Team of Rivals: The Political Genius of Abraham Lincoln, a favorite of President Obama. Screenwriter Tony Kushner [Angels in America], will write the adaptation. The film will cover the period of the Civil War, in which Lincoln fought with his cabinet in his effort to end slavery and bring about an end to the Civil War. "Daniel Day-Lewis would have always been counted as one of the greatest of actors, were he from the silent era, the golden age of film or even some time in cinema's distant future," Spielberg said in a statement. "I am grateful and inspired that our paths will finally cross with 'Lincoln." 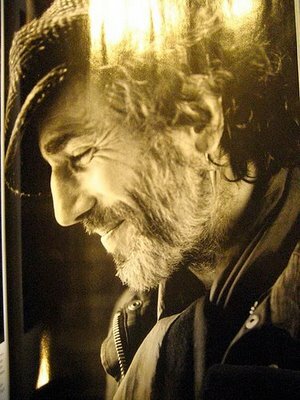 I'm reading: STEVEN SPIELBERG CASTS DANIEL DAY LEWIS AS HIS [ABRAHAM LINCOLN]Tweet this!